Reach Mandi in the morning by 7 AM, from Mandi it's a short 2-hour drive to Baggi village, which is the starting point of the trek. 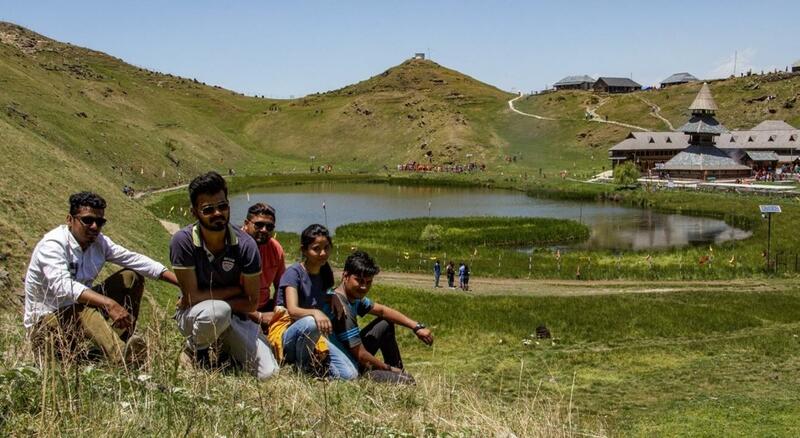 Relax a bit and start your trek to Parashar Lake. The total distance of the trek is 8 km and the trail passes through dense forest. The initial trail is through a path full of boulders and water streams. Mind your step while crossing the streams as stones remain slippery. After this stretch of about half km, you will reach the forest and from where the real trek starts. The whole trek is steep and uphill and it passes through dense forest. After an uphill walk of around 5 km, you will reach a small meadow, which is a nice place to relax. One can have its first sight of snowcapped peaks from the meadow. After this meadow, the trek seems little easy. It takes around 4-5 hours to reach the lake. The lake is pristine and is surrounded by green pastures. There is a pagoda temple standing near the lake. After reaching there, explore the lake and the temple. Have dinner and bonfire in the night. Overnight stay in tents. Wake up early and enjoy the sunrise. Explore the area near lake and after breakfast, start your downhill trek towards Baggi. It takes around 3 hours to reach Baggi village. Our vehicle will pick you from Baggi and we will start our return journey to Delhi. Any meals during travel from New Delhi to Baggi and vice versa.